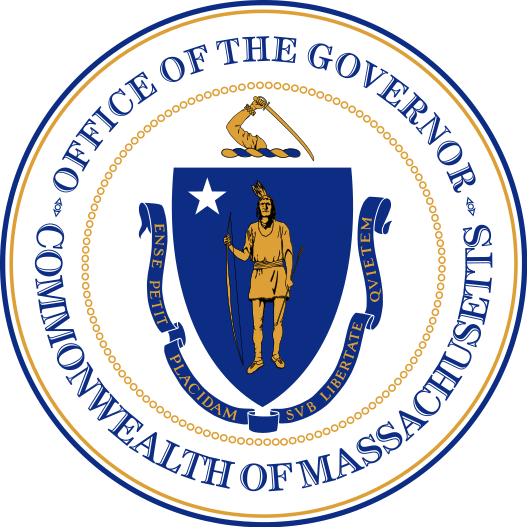 DORCHESTER — Today, Governor Charlie Baker announced this year’s affordable rental housing awards, which will provide $57 million in direct subsidies for 19 projects to fund the development, renovation and preservation of housing opportunities throughout the state. Since 2015, affordable housing awards have led to the creation and preservation of more than 6,300 housing units alone, furthering the Baker-Polito Administration’s commitment to increasing access to affordable and middle-income housing in every region of the Commonwealth. This year’s affordable rental housing awards continue to advance the Baker-Polito Administration’s commitment to substantially increasing housing production throughout the Commonwealth, with an emphasis on housing affordable to low- and middle-income households. Since 2015, the administration has spent or committed more than $880 million for the production and preservation of affordable housing. In May, Governor Baker signed a $1.8 billion affordable housing bill to ensure long-term support for the Baker-Polito Administration’s comprehensive efforts to increase the production of affordable housing, diversify the state’s housing portfolio, modernize public housing, preserve the affordability of existing housing and invest in new, innovative solutions to address Massachusetts’ rising demand for housing. In December 2017, Governor Baker announced the Housing Choice Initiative, a comprehensive proposal to create 135,000 new housing units by 2025 with new set of incentives and rewards for municipalities committed to sustainable housing growth in their communities. The Housing Choice Initiative is a multi-pronged effort that includes a program to designate Housing Choice municipalities and new technical assistance opportunities through MassHousing, in addition to proposed legislative changes that will help deliver smart, effective zoning at the local level. The legislation,An Act to Promote Housing Choice is currently pending before the legislature. Additionally, the highly effective MassWorks Infrastructure Program continues to be a key catalyst for housing production, supporting the creation of more than 3,000 housing units. The Open for Business Initiative will drive the production of more than 2,200 units of housing on state land. MassHousing’s $100 million Workforce Housing Initiative has advanced the development of 2,374 housing units across a range of incomes, including 631 workforce housing units. And, the Baker-Polito Administration reformed the Housing Development Incentive Program, which is on track to facilitate more than 900 new units in Gateway Cities. Robert Hill Way (Ashland) is a 64-unit new construction senior housing project. The sponsor is E.A. Fish. All 64 units will be affordable to low-income seniors, with 7 units reserved for extremely low-income seniors with incomes below 30% of Area Median Income (AMI), and supportive services will be offered at the completed project. DHCD will support the project with Low Income Housing Tax Credits and subsidy funds. 25 Amory Street (Boston) is a 44-unit new construction project to be located near the Jackson Square MBTA station in Jamaica Plain, Boston. The sponsor is the non-profit Jamaica Plain NDC. All 44 units will be affordable to households earning less than 60% of AMI, with 14 units further restricted for households earning less than 30% of AMI and making the transition from homelessness. DHCD will support this transit-oriented project with Low Income Housing Tax Credits and subsidy funds; the City of Boston also will provide additional financial support to the project. Four Corners (Boston) is a 31-unit new construction project to be built in Dorchester, Boston. The sponsor is the non-profit Codman Square Development Corporation. All 31 units will be affordable to households earning less than 60% of AMI, with 8 units further restricted for households earning less than 30% of AMI and making the transition from homelessness. DHCD will support this transit-oriented project with Low Income Housing Tax Credits and subsidy funds; the City of Boston also will support the project with subsidy funds. Hearth at Four Corners (Boston) is a 54-unit new construction project for seniors to be built in Dorchester, Boston, sponsored by the non-profit Hearth. All 54 units will be affordable to low-income seniors, with 19 units reserved for extremely low-income seniors with incomes below 30% of AMI. Hearth will provide extensive services at the completed project to support tenants. DHCD will support Hearth at Four Corners with Low Income Housing Tax Credits and subsidy funds; the City of Boston also will provide the project with additional subsidy funds. Old Colony Phase 3A - Award 1 (Boston) is one of the next phases in the decade-long redevelopment of public housing located in South Boston. The sponsor is Beacon Communities. This phase contains 108 units reserved for households earning less than 60% of AMI, with 11 units further reserved for households earning less than 30% of AMI. DHCD will support this phase with Low Income Housing Tax Credits and subsidy funds. The City of Boston will also provide support for this phase. Old Colony Phase 3A - Award 2 (Boston) is another phase in the ongoing redevelopment public housing project located in South Boston. The sponsor is Beacon Communities. This phase contains 27 units reserved for households earning less than 60% of AMI, with three units reserved for households earning less than 30% of AMI. DHCD will support this phase with Low Income Housing Tax Credits. The City of Boston is providing additional support for this phase of the project. Downtown Brockton TOD (Brockton) is a 48-unit new construction project for families to be built in Brockton. The sponsor is the non-profit NeighborWorks of Southern Massachusetts. The completed project will create 30 units reserved for households earning less than 60% of AMI as well as 18 units restricted for households earning less than 110% of AMI. DHCD will support this transit-oriented project with Low Income Housing Tax Credits and subsidy funds. The City of Brockton is supporting the project with additional funding. 370 Harvard Street (Brookline) is a 62-unit new construction senior project to be built in the Coolidge Corner neighborhood of Brookline. The sponsor is Jewish Community Housing for the Elderly (JCHE). The completed project will include 57 units reserved for seniors earning less than 60% of AMI, with 16 units reserved for extremely low-income seniors with incomes below 30% AMI. JCHE also will make extensive services available to the tenants of Harvard Street. DHCD will support the project with Low Income Housing Tax Credits; the Town of Brookline will support Harvard Street with local funds. Frost Terrace (Cambridge) is a transit-oriented new construction project for families. The sponsor is Capstone Communities. This 40-unit project will be built one block away from the Porter Square MBTA/commuter rail station with retail and service opportunities available in the immediate neighborhood. All 40 units will be affordable to households earning less than 60% of AMI, with four units reserved for households earning less than 30% of AMI. DHCD will support the project with Low Income Housing Tax Credits and subsidy funds. The City of Cambridge will provide additional funding through city trust funds. Squirrelwood (Cambridge) is an 88-unit family project featuring the preservation of existing affordable units as well as the construction of new units. The sponsor is the non-profit Just-A-Start. The completed project will offer 78 affordable units, including eight units restricted for households earning less than 30% of AMI. Squirrelwood originally was financed by MassHousing through the Chapter 13A program. DHCD will support the project with Low Income Housing Tax Credits. The City of Cambridge will support the project with additional funding. Little Pond Place (Falmouth) is a 40-unit new construction project for families in Falmouth. The sponsor is Affirmative Investments. All 40 units will be restricted for households earning less than 60% of AMI, with four units restricted for households earning less than 30% of AMI. DHCD will support Little Pond Place with Low Income Housing Tax Credits and subsidy funds. The Town of Falmouth also will support the project with $750,000 in Community Preservation Act funds. Shirley Commons (Fort Devens) is a 58-unit new construction project for seniors to be built on the Fort Devens site. The sponsor is the non-profit Women’s Institute for Housing and Economic Development. All 58 units will be restricted for seniors earning less than 60% of AMI, with 15 units restricted for seniors earning less than 30% of AMI. DHCD will support Shirley Commons with Low Income Housing Tax Credits and subsidy funds. The sponsor will offer support services for the tenants. Bentley Apartments (Great Barrington) is a 45-unit new construction project for families in Great Barrington. The sponsor is the non-profit Community Development Corporation of South Berkshire. All 45 units in the completed project will be reserved for households earning less than 60% of AMI, with 21 units reserved for households earning less than 30% of AMI. DHCD will support Bentley Apartments with Low Income Housing Tax Credits and subsidy funds. The Town of Great Barrington will provide additional Community Preservation Act funds to the project. Lyman Terrace Phase II (Holyoke) is the second phase of the comprehensive redevelopment of the Lyman Terrace public housing development in Holyoke. The sponsor is the non-profit The Community Builders (TCB). The completed project will offer 79 units of family housing reserved for households earning less than 60% of AMI, with 16 units reserved for households earning less than 30% of AMI. DHCD will support this phase of Lyman Terrace with Low Income Housing Tax Credits and subsidy funds. The Baker-Polito Administration has previously supporting the redevelopment through affordable housing awards and the MassWorks Infrastructure Program. The City of Holyoke will provide additional subsidy to the project. Sargent House Expansion (Northhampton) is a blended preservation and production project located on the edge of Northampton’s vibrant downtown business district. The sponsor is the non-profit Valley Community Development Corporation. The completed project will feature 31 total units. All units will be affordable to individuals earning less than 60% of AMI, with 10 units reserved for individuals earning less than 30% of AMI. Many tenants at Sargent House previously were homeless; Valley CDC will provide supportive services appropriate for the existing and new tenants. DHCD will support the project with Low Income Housing Tax Credits and subsidy funds. The City of Northampton also will support the project with some of its own funds. 24 Gould Street (Reading) is a 55-unit new construction mixed income project to be built in in Reading’s Chapter 40R district. The project sponsor is the Traggorth Companies. The project will be built at a major intersection in Reading’s central business district. When completed, 24 Gould Street will offer 14 affordable units as well as 41 market rate units. DHCD will support 24 Gould Street with subsidy funds. The Town of Reading also will provide financial support for the project. Lydia Square Apartments (Rockland) is a 44-unit new construction project for seniors in Rockland. The sponsor is NewGate Housing. All 44 units will be restricted for seniors earning less than 60% of AMI, with 9 units reserved for seniors with incomes below 30% AMI. The sponsor will provide support services at the project as well as transportation to a nearby senior center. DHCD will support Lydia Square with Low Income Housing Tax Credits and subsidy funds. Chestnut Park (Springfield) is a 489-unit preservation project in Springfield sponsored by Related Beal. The existing project, home to over 1,500 people, will be preserved and rehabilitated. When completed, 412 units will be affordable to households earning less than 60% of AMI, with 42 units further restricted for households earning less than 30% of AMI. DHCD will support Chestnut Park with Low Income Housing Tax Credits and subsidy funds. The City of Springfield also will provide support for Chestnut Park. Coolidge at Sudbury (Sudbury) is a 56-unit new construction project for seniors. The project will be built on a site adjacent to the successful first phase of this development. The sponsor is the non-profit B’nai B’rith. All 56 units will be affordable to low-income seniors, with 12 units reserved for extremely low-income seniors with incomes below 30% AMI. DHCD will support the project with Low Income Housing Tax Credits and subsidy funds. The Town of Sudbury also will provide funds to support the project. B’nai B’rith will provide services appropriate for the new tenants of Coolidge at Sudbury Phase Two.